I'm just wondering if there has been any new news resurfacing of an attraction Seaworld advertised when they first opened the Storm Coaster? 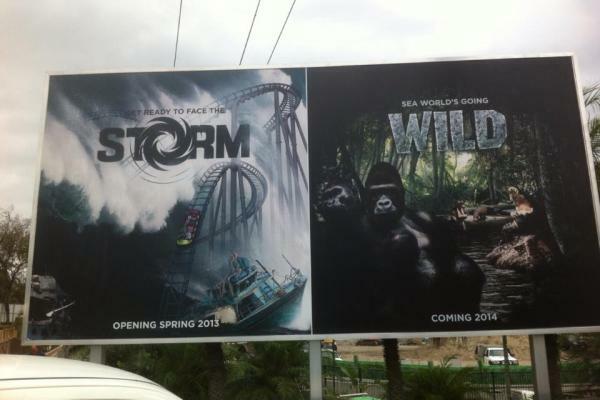 The poster (Right) was of jungle animals, like Gorillas, and hippopotamus, i thought that the attraction would be that of a Jungle Adventure type of thing. Like the jungle Cruise at Disney perhaps? Seaworld is working on a massive refurbishment at the moment, with the addition of Creatures Of The Deep and the Nickelodeon Land refurbishment, however I still haven't heard any news of this attraction that was set for 2014. No one has, the reclaimed land was supposed to be for Wild aswell we believe. And im also fairly sure with Henry's birth money had to be thrown at that; money originally intended for this. Plus with Nickelodeon it may have been a hit and miss with this deal. same goes for COTD. I think it can be said that it is no longer happening, or at least not any time soon. To our knowledge was originally proposed for the land that was being reclaimed, but since then the COTD has been installed and now NL will be taking some of that area. I would have said that it would have been animals in enclosures. 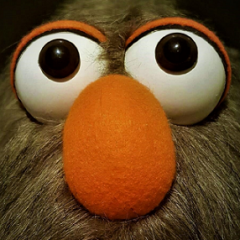 But there could have been a chance that they were just going to be animatronic animals. I did think it was a good idea at first, but it wasn't very fitting to the park. It would have been a huge crowd puller, as it would have been the only park in south-east Queensland to have gorillas. Gorillas typically need a large enclosure, so they can have large open spaces to run and for climbing equipment to be installed. The attraction would need thick glass walls or a large gap between the enclosure and guests. I'd imagine that it would take up a large amount of area of the reclaimed land. I do feel like what they are using the land for now is good and fits well to the park. Isn't TL:DR "Too Long: Didn't Read" ? As for reasons why - They ran a focus group AFTER they began construction \reclamation works, and the focus group were shown two proposals - the first being Sea World's land reclamation deal, with an elevated walkway going through the middle for guests to look down on the animals (which were intended to be real, not animatronic). The second option, and one which - from what i've heard was overwhelmingly more popular was to use the land at the back of AOS to create a 'Disney's Animal Kingdom' type open-plains park, with attached guest lodge \ hotel, night-time tribal stage performances etc - which would also give the animals far more 'natural' habitat, than the cramped and enclosed edge of Sea World's already cluttered parkland. COTD isn't a replacement attraction, the scale of COTD is no where near what was going to be required for Wild. I don't even think COTD is seen as a permanent attraction, it will be similar to Dinosaur Island and be around for 12 months. I think OG is using the word 'replacement' in the same way that we say Junior Driving School replaced LTRR. It occupies the same landspace (in part) as the space that was previously for the former attraction. in that sense - COTD is what replaced Wild in terms of that space... and just like JDS - isn't really up to the standard of the former attraction (or planned attraction) and wasn't a direct replacement... but I do agree jungle animals in an ocean themed park wasn't the best of ideas. similar to Dinosaur Island and be around for 12 months. Dinosaur Island - although many 'expected it' to be gone in 12 months (June'12 - June'13) it did in fact stay in the park until June'14 - or two years. Anyone who is unaware of the impact these card collections can have needs to visit Woolworths and Coles facebook pages when they've got those items on a promo. People go NUTSO SKITSO for them. I've seen a BOX of Jamie's Garden cards sell for $150... for something people get FOR FREE \ With Purchase. Sea World are GIVING THESE AWAY (and giving you even more when you spend $20 in an outlet). Yeah, that. A replacement idea as such, not so much comparing the scale of the attractions themselves. They announced Storm & Wild to be for 2013-2014 era, we get Storm & COTD instead for 2013-2015. Seems pretty self explanatory to me, even if it took the extra year to get up and running. The Wild open plains park = Werribee Open Range Zoo. Just add rollercoasters and we'll all be happy. Good luck finding a ride manufacturer who can make a ride car capable of fitting a giraffe. That'd be some OTSRs. ? Hmm LOL yeah that's a bit random.